What makes a good revival? Is it just lovingly recreating an original or a prior revival? Or does it require reinvention? It depends who you ask. This season has been unusually strong for Broadway musical revivals, as one can see from the four Tony nominees: The Color Purple, Fiddler on the Roof, She Loves Me and Spring Awakening. These productions all received positive reviews. 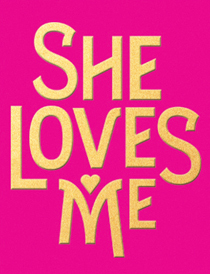 I've been talking to Tony voters in the last week and they all point to one thing that makes one of these different from the rest: She Loves Me is an expert, well-cast revival, but it's a traditional take on the story. In other words, while there are certainly many differences in this staging as compared prior She Loves Me stagings--different sets, costumes, choreography, performances, etc.--there isn't a full scale reimagining. It is brought to you by the same theater company, Roundabout Theatre Company (celebrating its 50th anniversary), and the same director, Scott Ellis, who did the last revival. There isn't one thing that you can point to and say: "Wow, the fact that Scott Ellis did X is just amazing." Whereas the other revivals all have something that distances themselves from prior productions. 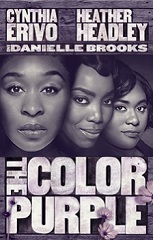 The Color Purple is a stripped down, emotional version of the original. Fiddler on the Roof has the framing device of Tevye in modern dress, which is supposed to remind folks of the current struggle of refugees. Spring Awaking was a production of the Deaf West Theater, with actors both signing and singing. She Loves Me, at least to most audience members (experts may know more), seems to be She Loves Me with great lead performances. So what? Some voters indicated to me that they think mounting an old chestnut musical, no matter how winning, is "simple" or "easy." I disagree with that. I also disagree with the fact that musical revivals have to bring a revolutionary take on the musical to be worthy of viewership. Last week, there was an article in The Guardian in Australia, criticizing Opera Australia's production of My Fair Lady, for which Julie Andrews is recreating the original Broadway production. Without getting into the politics behind Opera Australia's mission and the problems this choice might bring from that perspective (as that is way beyond my knowledge base), I don't see anything inherently wrong with mounting a recreation. I was therefore struck by this sentence in the piece: "Revivals can and should speak to audiences today by finding the thread of plot or theme that rings most true to contemporary life, and highlighting it through fresh direction, staging, and orchestrations." Of course revivals can do this, no question, but it's the "should" that has me wondering. "My Fair Lady needs to tighten up its dated gender stereotyping (and could benefit enormously from restoring Pygmalion's bleaker ending), but there is a kernel of commentary in the show that could still ring true in contemporary Australia. Class structures and strictures are still pertinent issues in Australia. There's so much to explore and My Fair Lady is ripe for it; the fallacy of superiority by way of breeding always needs a look, and Higgins' misogyny and privilege is the story of so many politicians, academics and leaders - and boyfriends and husbands and fathers - across the country. Put these elements under a lens and the show has the chance of being an uncomfortable study of behaviour so many of us are so keen to let quietly slide. But no. Instead, we will see the creaky politics of the 1950s presented as standard behaviour, and be asked to be swept away by a creepy romantic ending." Now, I get everything written there. I understand the desire to change My Fair Lady. However I also understand the desire to put on My Fair Lady, as we know and (some of us) love it. Just like I understand the value in doing She Loves Me as I was expecting it to be. Yes, there are fresh elements to the staging, but I think we all know it's not revolutionary, and I honestly don't care. In June I will see Shoshana Bean in Funny Girl at the North Shore Music Theatre. I'm going to be perfectly honest, if there is a new feminist empowerment spin on the whole thing, I'm likely not going to be so happy I traveled four hours. I want Bean to be the Fanny Brice I know. I don't want goth styling. I don't want her to marry Nick Arnstein as part of a business arrangement for both of their careers. I just want to see a good Funny Girl. (Note that I'm assuming the production is using the original script. While the West End production uses one revised by Harvey Fierstein, those I know who have seen it said he's done some cleanup and inserted some lines, but it's not a new take. Funny Girl is not a perfect musical and I'm by no means saying it should always be done as originally written. The point is that I do not see the need for revisions in and of themselves to highlight inequities in modern relationships or fame or anything of the sort.) Next season we welcome back Bette Midler in Hello, Dolly!. I am all for cleaning up some of the problems with the book of the show, but, please, no modern take. I don't care that Horace is one of the 1% and I pray that there is not some extreme highlighting of the difference between the haves and have nots. In Sweet Charity, Charity is a little bit of a doormat of a character. So, for the 2005 revival, librettist Neil Simon thought he'd give the show an ending modern audiences would more understand -- Charity would come to her own conclusion that she deserves better than Oscar, she deserves to be in a better relationship than the one she is in. The problem is the ending didn't ring true to the character. And I always wondered if we really needed it. Even in 2016, I think we all still know women like Charity, women who bend themselves backward for a man, women who don't know their own worth. Yes, it's less common now than when Sweet Charity was written, but it still happens. So was there a need to even attempt to make it "modern?" There may have been a need to do some revisions, but I'm not sure it needed a modern spin. There are a ton of musicals out there that could use rewriting. There are a ton of musicals out there that are going to play completely stale if staged in their original form right now. In fact, we see that all the time at Encores!. One of my very favorite Encores! shows ever was Bloomer Girl, but no bit of me thought it should ever have a full-scale production. My Fair Lady might indeed play stale in 2016 in Australia, it's hard to tell as the production in Australia is an extreme case -- most revivals in this century don't attempt to fully recreate an original. Yet I don't consider "reinvention" the criteria of a great musical revival or a necessity to win a Tony Award for Best Revival of a Musical. I don't vote for the Tony Awards and I'm honestly not sure what I would vote for this year. The Color Purple is the front-runner and most voters I have spoken to are casting their votes for that show. Indeed, while all of the nominated productions were critically praised, The Color Purple might have received the most accolades. I believe some think it might be the best revival of a musical ever, an unexpectedly moving take on a show many critics didn't like the first time around. For me, I never disliked the original as much as many (indeed seeing Fantasia in the role of Celie was a top theatergoing experience), nor do I love this revival as much as some. That said, I'm not saying it shouldn't win. I'm thrilled that there are producers and directors out there taking a look at properties with a fresh, clinical eye. I by no means want this post to come off as anti-reinvention. I'm in favor of doing whatever you can do to make the best staging of a show and many a time shows benefit from heightening certain elements. What I am saying is that I've been surprised at how many voters I have spoken to think putting on a great, but old-fashioned production of a beloved musical is praise-worthy but not that impressive upon reflection. Let me tell you -- I've seen a tremendous amount of crappy faithful of staging of great musicals. It is tricky to get it right; there are a lot of moving pieces to putting on a good show. I know all the people I'm speaking to know that. This has been a wonderful season for musical revivals. If something manages to upset The Color Purple, it will be something that has earned near universal acclaim. Whether it's something that puts a completely new spin on an old work, or it is just a really solid production, it will be something that was difficult to pull off and worthy of the award.